This course is a creative class that focuses on the art of color correction and not learning the software. It’s perfect for people who are already colorists but want to take their grading to the next level. Why do we grade films differently and what are we looking for before we start the session? Creating a cool look is only a benefit if you can match the surrounding clips otherwise it acts as a negative to the viewer as the only notice the mismatch. Warren always tries to show you why you do something, not just how to do something. 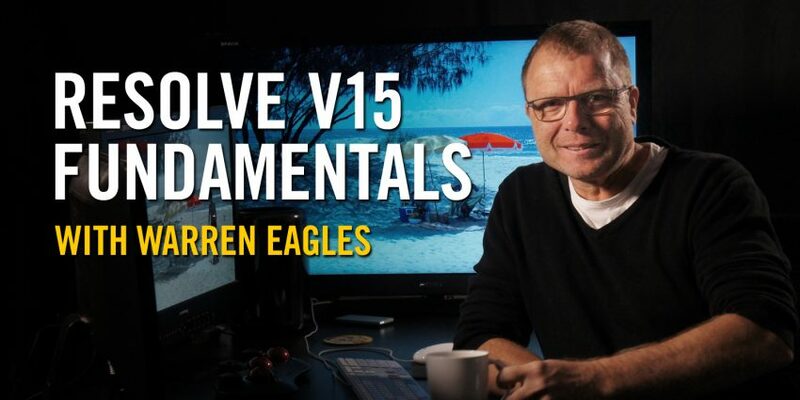 You can follow the classes using the same techniques on the same footage Warren uses during the classes. You get the media, the XMLs, the reference movies, and the Powergrade looks. This course includes an exclusive review feature. When you are happy with your work and want some feedback, you’ll upload your files and Warren will critique your work. 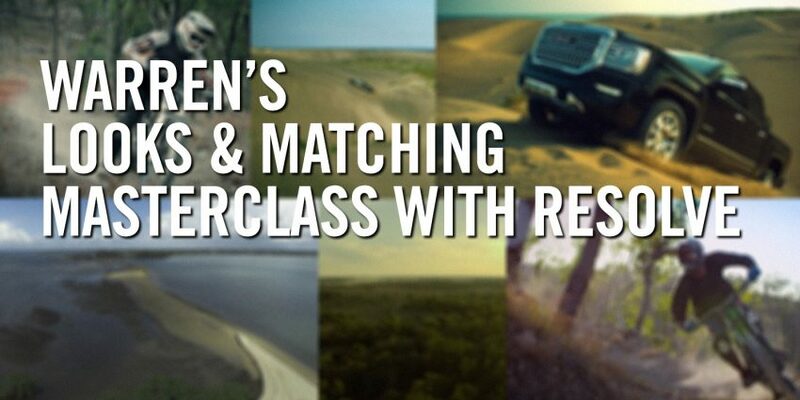 There will also be a Masterclass member forum exclusive to those who have purchased this course. This is an Intermediate/Advanced course. 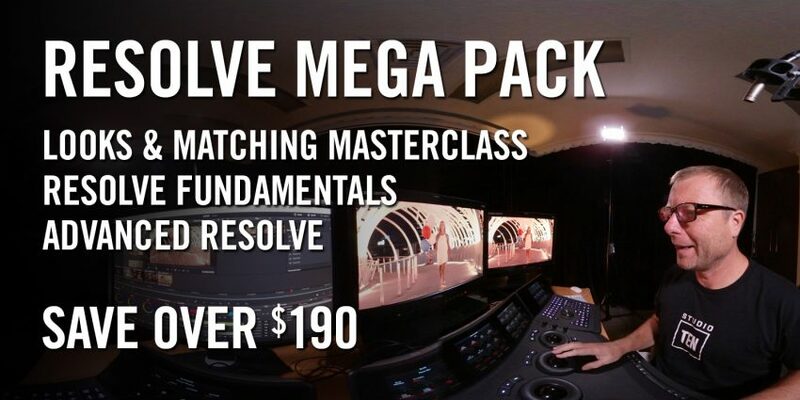 You don’t need to be a Resolve master to take this class; it is far more creative than technical. You can follow the classes using the same techniques on the same footage as Warren uses during the classes. What will I be editing and coloring? You will be using a variety of different footage, including Arri Alexa, Blackmagic URSA Mini, RED R3D, Sony FS7, and lots more. There are a number of different timelines, including a courtroom drama, a beauty and GMC truck commercials, an action sequence, music video, and pack shots. Looks covered include bleach bypass, orange and teal, the soft look, grungy with grain, beauty skin grading, and cross-process. The priority of the class is to balance, create, and then match. The biggest mistake Warren sees from junior colorists is that their sequences do not match. His aim is to give you a very rounded view of how a colorist should approach a session. 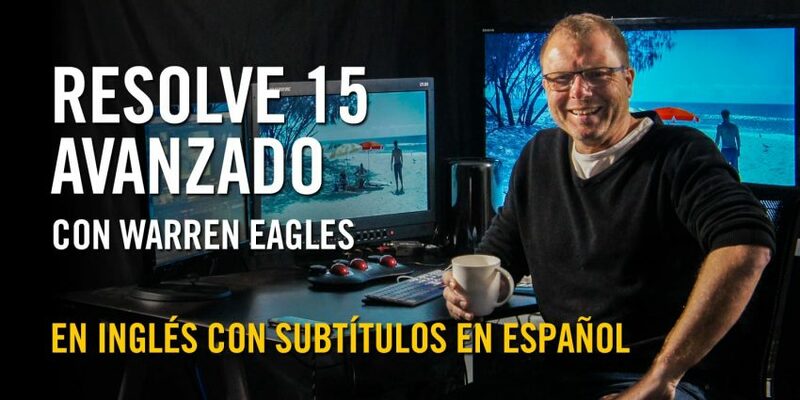 Warren’s real world experience as a colorist and teaching ICA classroom classes helps the way he transports techniques into online training classes. It dovetails very nicely from the Fundamentals and Advanced classes. Even if you use Resolve on a daily basis you’ll get something from these classes. As a colorist, you have to stay current, learn new techniques, and looks. You never stop learning. Once you purchase this course, you can immediately download all class instruction videos. The fast forward program is standalone instruction with immediate download and does not include access to our discussion forums or VPN software. Footage supplied with the course may only be used for learning (use in commercial or non-commercial projects is prohibited). Creating a look is fun, but matching is probably the most important and hardest thing to learn. This class tries to address both of those. Also includes a bit about Warren’s background, how to approach a grade, and an explanation of the forum and feedback process. A walkthrough of our TVC project, a GMC Truck commercial shot on Red Dragon, Warren breaks down the grade and shows how he attacks the mixed formats. Tools and techniques covered include Offset, Log grading, Power Windows, curves for aggressive contrast, and using OFX Match Move for sky replacements. Using the GMC Truck commercial, Warren covers wash or a hint of color, Bleach Bypass, magic hour, and techniques for desaturating the blacks and whites. Tools used include lift/gamma/gain, the Layer Node, RGB mixer in mono, opacity, Luminance vs. Saturation curves, and split screen from the Gallery. Music videos are a great way of furthering you grading knowledge, if not your bank balance. You can experiment more than other genres, but generally have less time so you need to be fast, efficient, and creative. 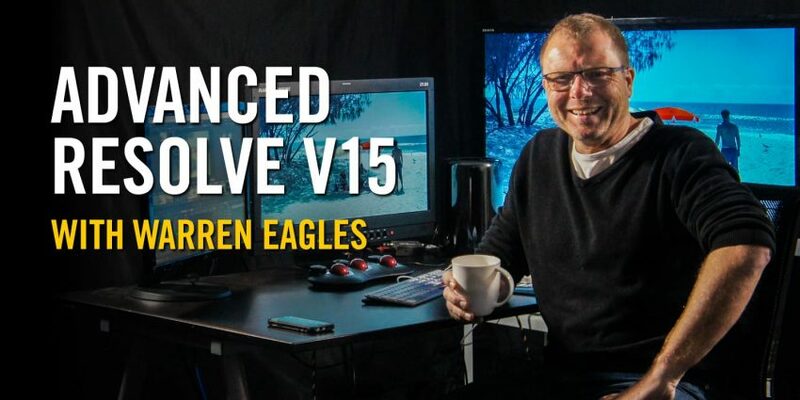 Using footage shot in Vietnam on the Blackmagic Cinema camera, Warren covers cyan in the blacks, bringing a real color back through a desaturated image, golden looks, adding film grain and film fogging, and using EDL marks on tracks to control each clip. Tools and techniques covered include log grading, keying, grain as a matte, and highlights and shadows. Warren has graded hundreds of TV commercials and the intensity always steps up when he gets to the pack shots because for clients they are often their most important concern. Warren shows how to use multiple windows and shapes to highlight where we want the viewer to look, how to do secondary keying for food and products, and how to fix a chipped lid with node sizing. Tools covered include Power Windows, keying, and Node sizing. Warren gets more questions about skin tones than any other grading questions. It isn’t easy but he covers a few important rules you need to follow. Using the Blackmagic Cinema camera and Red One footage, he covers importing a beauty TV commercial project from another machine and how to balance a beauty shot before keying. Tools and techniques covered include Lift Gamma Gain, Mist vs. Midtone detail for skin softening, using the Face Refinement OFX plugin, and copying a node with keys and tracks. The secret behind nice skin tones is to always maximize your primary balance before attempting a secondary correction. Warren shows how to use the grey frame to reset your eyes and brain, and when happy isolate the skin tone very carefully. Remember, your client is always looking at their product. Using BMCC 4K and Red One footage, he covers how to grade glowing highlights with fashion footage and reveals there is more to a flat look than you might think — using color to direct the viewer into a certain area even on a flat look. Tools and techniques covered include Custom Curves, blur control, Layer Node using Softlight, and Power Windows. Shooting underwater brings new challenges to the grading table such as below three metres there is no red light. Warren looks at the challenges of action sports using a mixture of footage and sports, including drones, underwater, wakeboarding, motocross, and mountain bikes. Tools and techniques covered include the RGB mixer, offset, and log grading. The Orange and Teal Blockbuster Look must be the most requested look. Love it or hate it, it is very popular and Warren shows how to achieve it. Using a TV commercial shot on Arri Alexa, Warren covers using LUTS and if they are a good idea (and easy to match), showing how to import LUTs and how they are different from Resolve PowerGrades. Tools and techniques covered include log grading, advanced keying, and more. This class uses the Colors of Melbourne project shot on Panasonic VariCam. Warren shows grading in sRGB on the GUI screen, creating a Cross-Process look, matching to a JPEG still reference. He looks at Instagram and electronic 16:9 framing, and how you setup to render these resolutions as well as YouTube and Vimeo gotchas. Tools and techniques covered include sizing tools, hue curves, color management, and sRGB rendering. A monkey could sit on Resolve panels and make a nice picture on one shot in two minutes, but give him two days and he’ll never match it (nothing against Apes who are coloring). Warren discusses the way he approaches a long form project showing a recent movie grade, Project Eden Volume 1. He then talks about his approach to grading the courtroom footage shot on Arri Alexa, Blackmagic URSA Mini, GoPro and Sony F3. This sequence is purposely shot slightly wrong by Griffith Film School in Brisbane to make it more challenging. Tools and techniques covered include colour temperature, RGB mixer, offset, mixed formats, and REC709 cutting with log footage. Warren discusses the importance of watching your program a number of times before starting the grade and making sure you have a plan of attack for the number of hours you have. Working towards a cooler feel after client comments, Warren re-balances the problem shots then starts to match the sequence to the reference stills. As the grade starts to fall into place, Warren always offers advice on why you should do something not just how you should do it.